We are pleased to say both Mr. Hart and Miss Smith have passed their Level 5 award. Both teachers are delighted and have already started to put into practice what they have learnt. This ceremony was held at Lea Valley Secondary School and was attended by both Primary and Secondary Schools as well as the Mayor for Enfield. We received our Sainsbury's Kite Mark Gold Award for the third year in a row and we were delighted to be recognised for our sporting attitude and etiquette when we received the award for Athletics. We are pleased to let you know that we have gained the Sainsbury's Platinum School Games Mark making us one of the four schools in the borough to have achieved this. 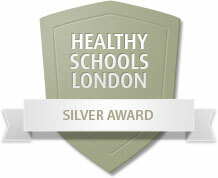 This reflects our commitment to the development of competition within the school and the wider community.